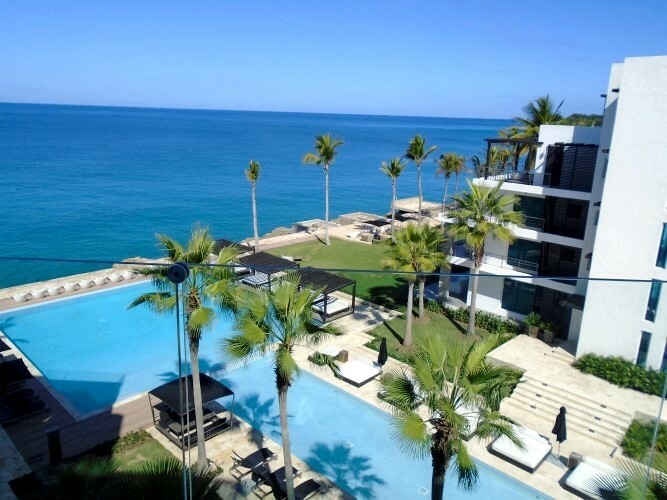 This exceptional luxurious penthouse with all comfort and great ocean view is situated in a recent exclusive oceanfront residential project on the ocean within walking distance of the center of Sosua. 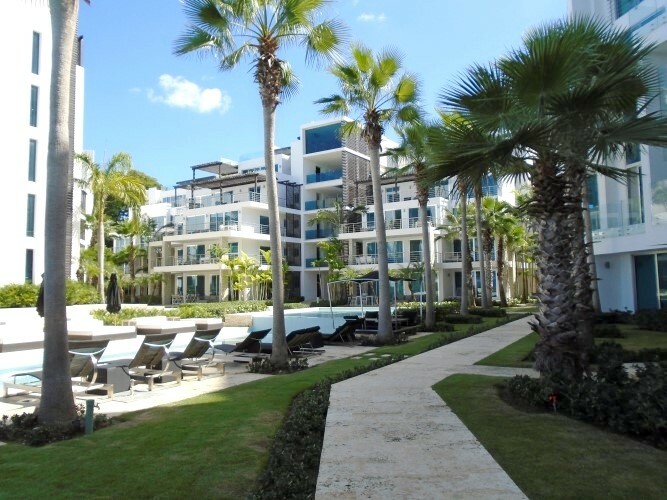 The apartment has spacious 2 bedrooms and 2 bathrooms, the master bedroom opens to a large terrace overlooking the ocean. 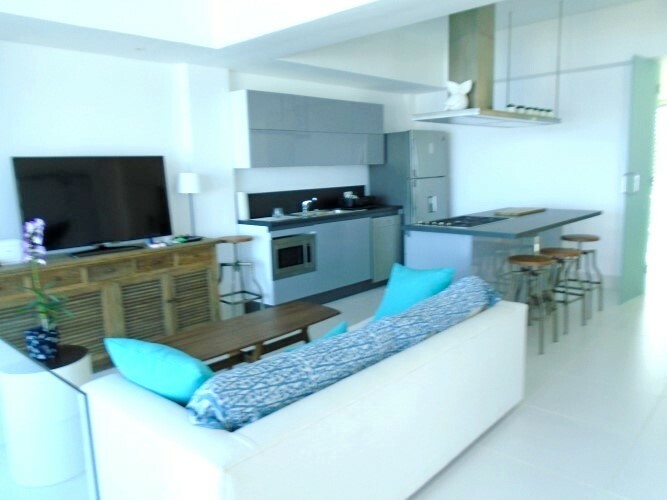 The spacious living room has a modern Italian open kitchen with appliances. 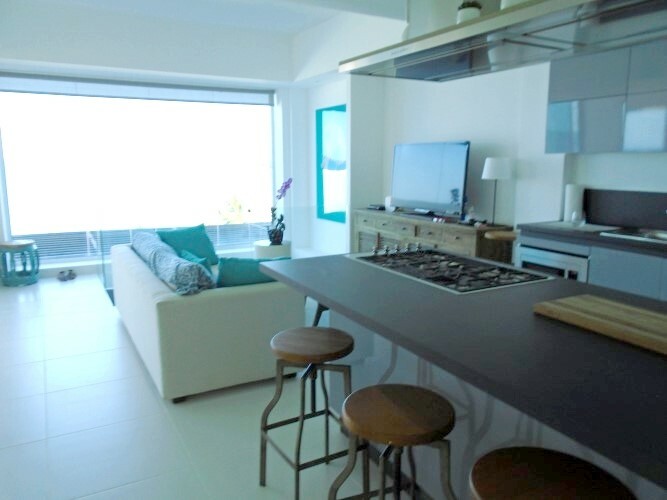 The living room has a dining area and lounge which also have a balcony and a view of the ocean. 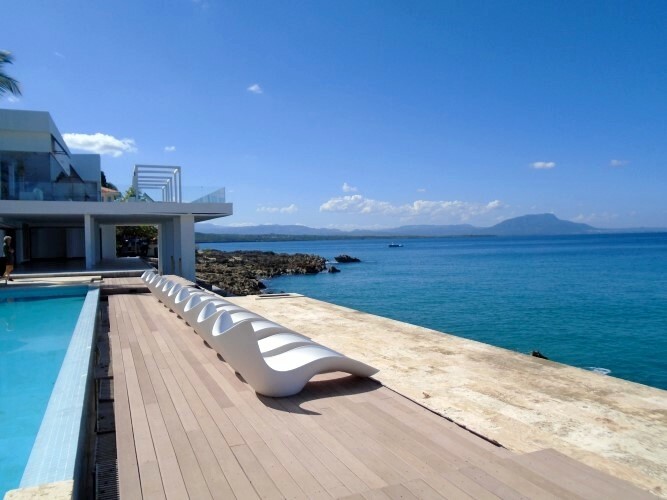 In the living room an open staircase leads to the second floor with the master bedroom and bathroom with large terrace with a beautiful view over the ocean from Sosua to Puerto Plata. The apartment was built with high quality material. The sliding doors giving access to the terraces are equipped with double glazing, the railings of the terraces are made of translucent glass. For this apartment there are two parking spaces and a small storage room in the underground garage. 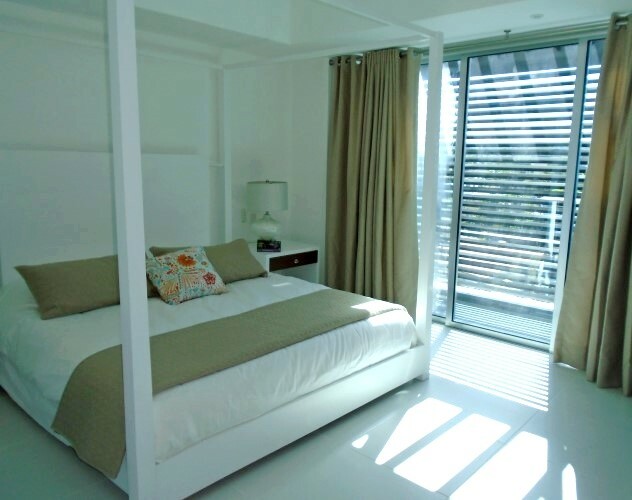 A lift is available for the owners with direct access to the penthouse and to the underground garage. For the sports people there is also a free common gym available. Small dogs are also allowed. 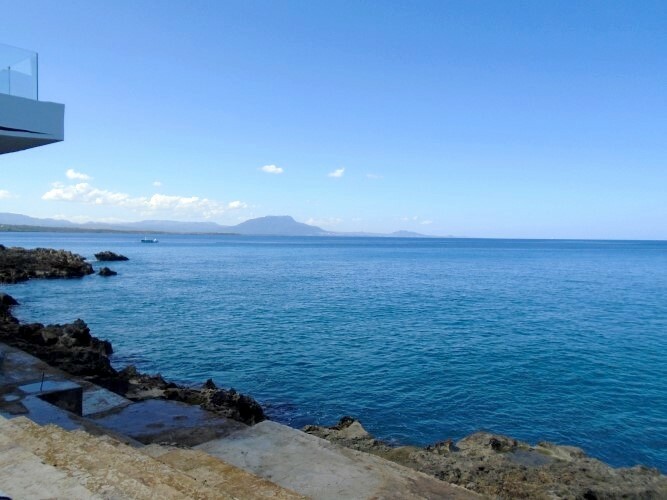 Within walking distance is the center of the tourist town of Sosua where you will find all kinds of shops as well as international supermarkets, banks and schools. A new international hospital is 1 km (0.6 mile) from the property. The international airport where there are daily flights to and from the US, Canada, and Europe reaches you after 8 km ( 5 miles) drive from the property. 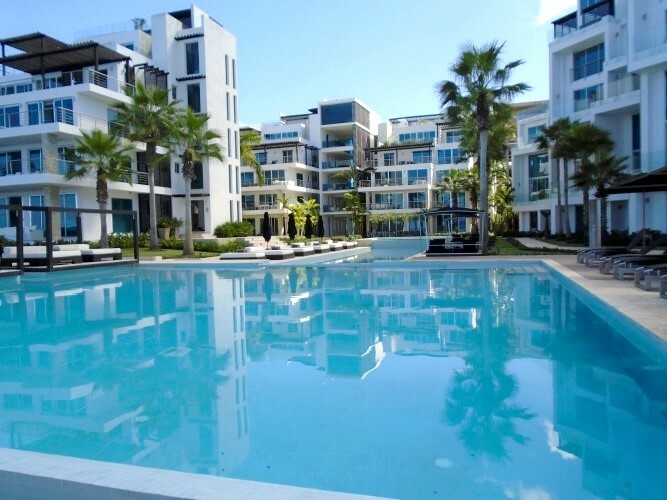 For more information about this exclusive penthouse, please fill in the information request.